Annie’s 20+ years global marketing experience gained both from the client side and from the agency side. She has expertise in Strategy & Consumer Insights, Measurement, Advertising Research & Planning, Campaign Effectiveness, Media Investment ROI, and Customer Analytics. Annie has been on UGA’s AdPR executive council since 2013 and she is currently teaching the Advertising Research class at Grady College. Most recently, Annie was the Director of Global Marketing Strategy & Insights at The Coca-Cola Company. Annie has built global brand marketing strategies for Sprite, Fanta, Schweppes, and corporate sustainability. Prior to Coca-Cola, Annie was the Vice President of Brand Planning and Research for BBDO. Her clients included AT&T, Global Hyatt, and Bayer Advanced. She helped clients grow business through deep consumer insights, advanced analytics, effective advertising campaigns, and optimized media investment. Prior to BBDO, Annie worked at Capital One, CNN Headline News, and China Daily (in Beijing). 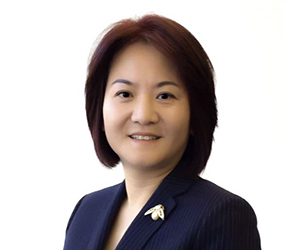 Annie holds an MBA from the Wharton Business School, University of Pennsylvania, a Master of Mass Communication from Grady College of the University of Georgia, and a BS from East China Normal University in Shanghai. Originally from China, Annie came to the US in 1999. She currently lives in Atlanta with her family.